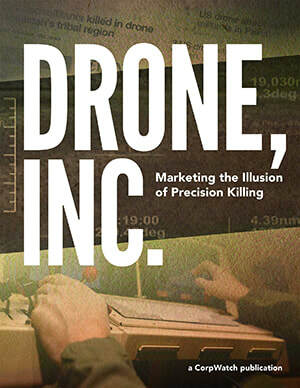 Drone Inc.: Marketing the Illusion of Precision Killing, reveals the contractors and technology behind the targeted killing machinery of the U.S. military and intelligence agencies, demonstrating how critical errors and assumptions in this remotely controlled war has resulted in the deaths of hundreds, if not thousands, of innocent civilians. 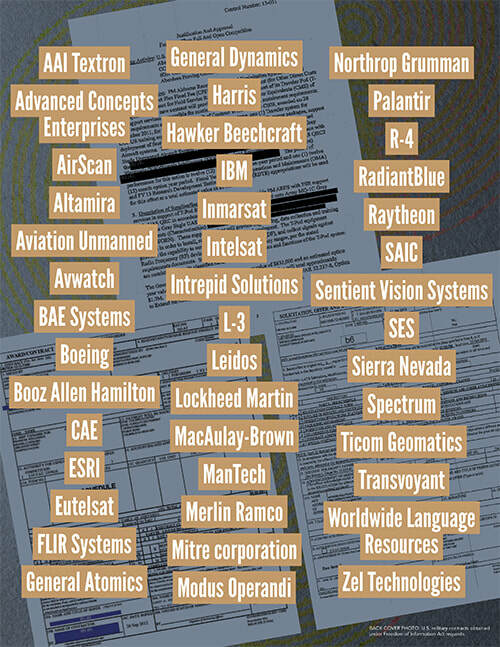 CorpWatch is also releasing Pentagon evaluation documents on the Air Force Distributed Common Ground System (AF-DCGS)— essentially the “brain” behind the drone system. The documents, first published today, show that the AF-DCGS was unavailable 67 percent of the time. In addition, the new report reveals the complex and semi-autonomous ‘cross-cueing’ systems that the military uses to track targets. For example, such systems allow a drone video camera to be automatically 'cued' or pointed at a target when the phone’s signal is detected. An imagery analyst watching this video feed is not necessarily informed of what technology, systems, or people are involved in tracking the device. Unfortunately, since phone geolocation technology can often be off by dozens of feet, drone operators often watch the wrong individuals. “These systems rely on many assumptions and algorithms. Each error compounds the next, creating a system of confirmation bias that leads the military to believe that they can identify terrorists when in fact they cannot,” adds Chatterjee. Drone, Inc. is accompanied by a 2.5 minute video animation, created by Ruben DeLuna, explaining the challenges faced by soldiers tasked with operating drone systems. Ten new graphic illustrations, created by Design Action Collective, help demystify each of these complicated technologies. The animation and graphics are available for reproduction and distribution, with citation.